February the 8th was National Library Day today and Clydach Library was visited by an Evening Post photographer. 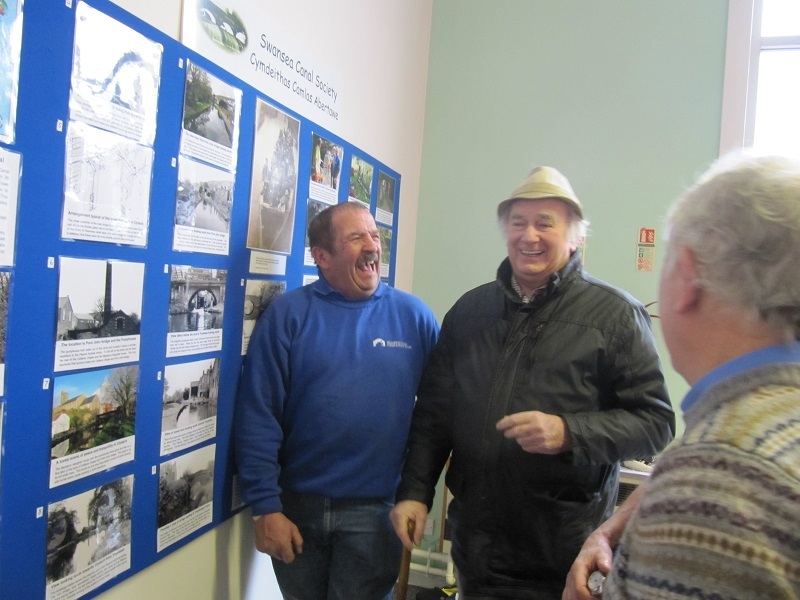 Our exhibition in the libray on the Swansea Canal was featured, and Paulette Smith, the local councillor, was among the visitors. 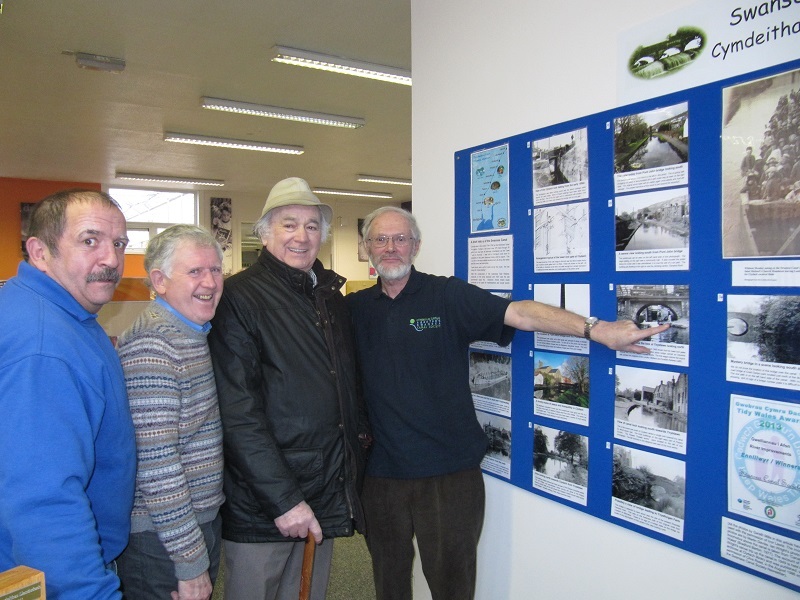 John Hutchings, who worked on the canal from the late fifties to 1994, came along to the exhibition and had personal memories of many of the buildings in the historic photo section. He identified several locations that had previously been unknown and gave extra information on many of them. 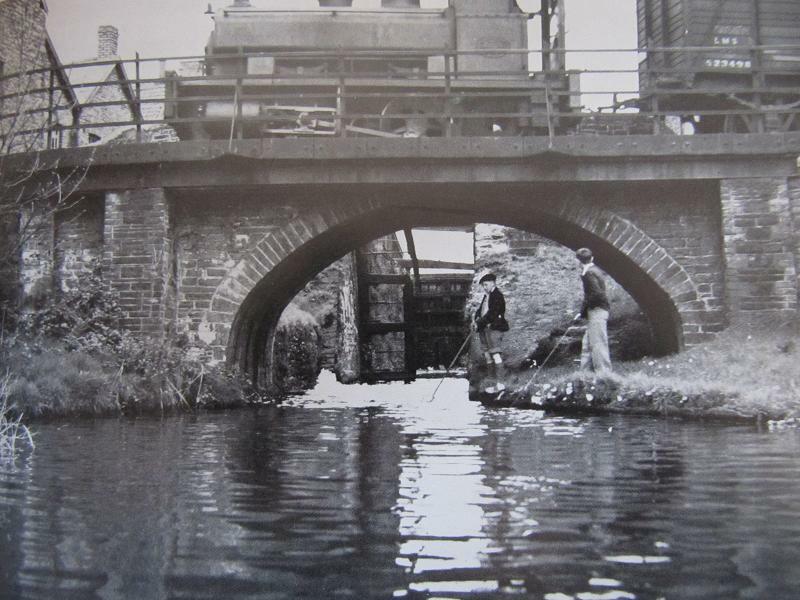 One picture actually featured John and his brother, Ron, as young boys, fishing on the canal at Cwm Clydach Lock on April the 19th, 1949. 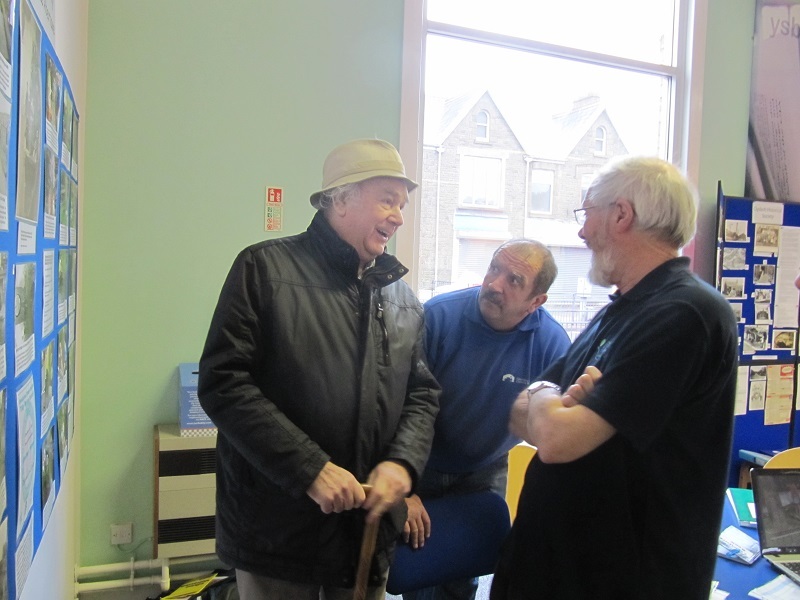 John had many interesting stories about working on the canal. By the time he retired he was senior engineer for many of the British Waterway Canals. One day he would be in Taunton, the next in Birmingham. 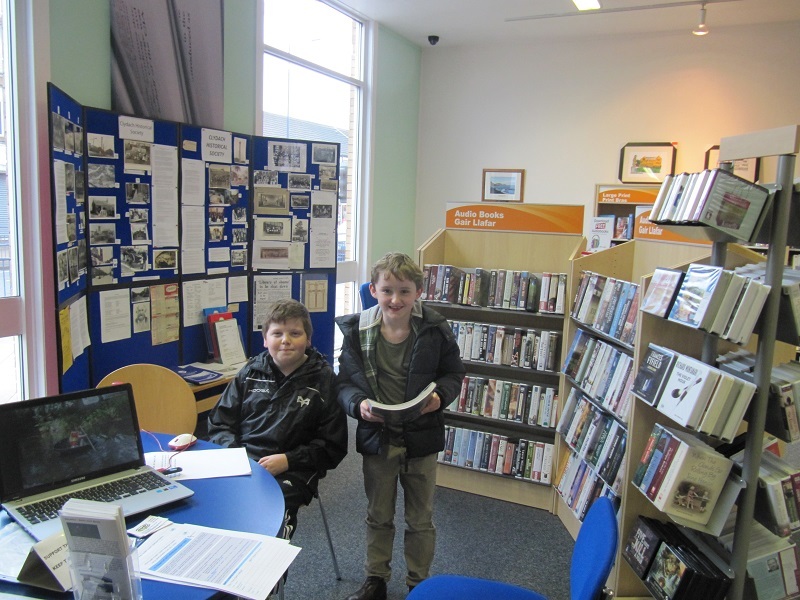 The younger generation were also represented with Thomas Walker and his friend who were very interested in the history of the canal. Thomas is also adept at paddling his grandfather’s hand-built coracle.